Chase Ink is one of the best ways to earn points for travel. 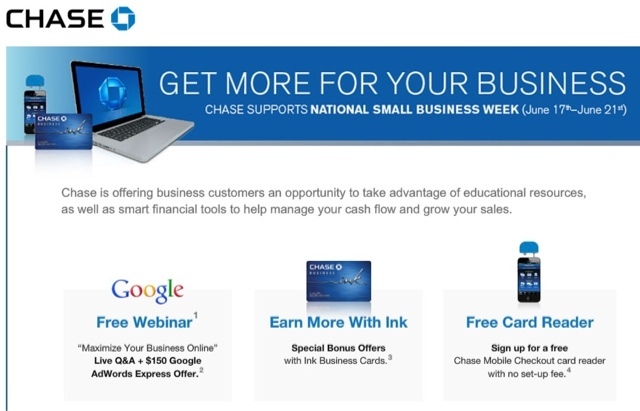 For small business owners, the Ink card offers a 50,000 point signup bonus. These points are very flexible and can be transferred to several hotel and frequent flyer programs. See my previous post on Chase Ultimate Rewards for the benefits of this program. Special offers during small business week might be of interest to those who already have the card and those who are considering getting the card. The full details on this offer can be found here.